This is an excellent site to begin to look at connections in Scripture. 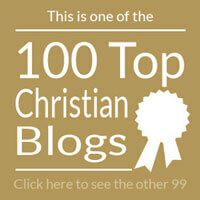 This is a great list of some of the best Biblical Theology sites. Burney, C. F. Outlines of Old Testament Theology. London: Rivingtons, 1899. Davidson, A. B., and S. D. F. Salmond. The Theology of the Old Testament. Edinburgh: T. & T. Clark, 1910. Duff, Archibald. Old Testament Theology; Or, the History of Hebrew Religion. London: Black, 1891. Foster, R. V. Old Testament Studies An Outline of Old Testament Theology. Chicago: Fleming H. Revell, 1890. Girdlestone, Robert Baker. Old Testament Theology and Modern Ideas. London: Longmans, Green, 1909. Oehler, Gust. Fr, and George Edward Day. Theology of the Old Testament. New York: Funk & Wagnalls, 1883. Piepenbring, C. Theology of the Old Testament. New York: Thomas Y. Crowell, 1893. Weiss, Bernhard. Biblical Theology of the New Testament. Edinburgh: T. & T. Clark, 1882.